Replica tall ship South Passage moored majestically at Keppel Bay Marina in May this year. Keppel Bay Marina General Manager Kylie Smith said South Passage came to moor right here at Rosslyn Bay, Yeppoon. “South Passage sailed into the marina on Saturday night, it was quite a spectacular sight as this beautiful tall ship sails in to visit us. “Besides being able to view this tall ship beauty locals also had a chance to book a seat on the South Passage’s Sunday day cruise and purchase a picnic lunch package from Waterline Restaurant to take on board,” Ms Smith said. South Passage Sailing Master Robyn Elkington said the crew of volunteer sailors enjoyed visiting the Capricorn coast and welcoming visitors on board Sunday. “Our visit to the Keppel Bay Marina will mark the end of a four day voyage from Bundaberg, out to Lady Musgrave Island and then on here to Yeppoon. “It was great to see the locals join us on our 100 foot schooner and bring their picnic lunch for a unique day of sailing from 10am-4pm on this magnificent ship,” Ms Elkington said. The South Passage was set up as a not-for-profit boat set up for adventures and education and it’s fully crewed by volunteers who want to make a difference in the lives of young people. The young people of Park Avenue State School Rockhampton got quite the nautical education when they came aboard the South Passage. “Our trip to the Capricorn Coast came to a close with the Park Avenue State School in Rockhampton coming for a sailing adventure with us on Monday. “We dropped them home to the Keppel Bay Marina, and then it was time for us to pull up anchor and head for home,” Ms Elkington said. 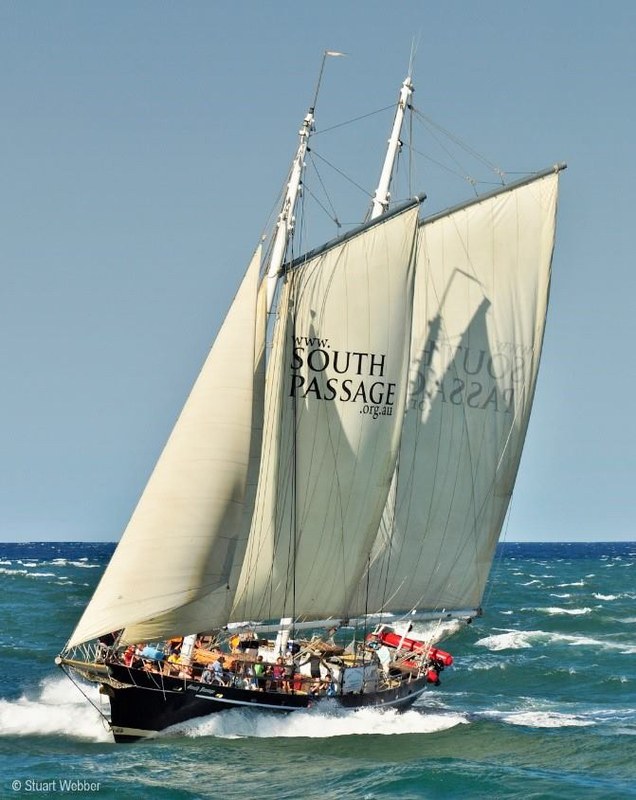 If you would like more information about the South Passage and their sailing programs and education or you would like to book a spot on the South Passage day cruises visit their website: http://southpassage.org.au or contact (07) 3983 3777.